“Bonfires on Mount Misery! On na Comaraigh! On Cnoc Mhaoil Domhnaigh! There were bonfires, too, in the heart of every pupil and ex-pupil of Mount Sion on Sunday night!” So wrote Brother Malone in September 1959 in a letter to Pádraig Ó Fainín in the immediate aftermath of Waterford hurling’s greatest hour. 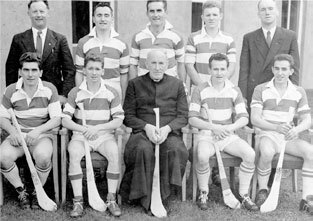 Brother Malone was the inspiration behind the founding of Mount Sion club by Brother O’Connor in 1932 and he was acknowledging that the love of hurling held by many of the men who made that great day possible was forged in the yard of the primary school many years before. Mount Sion Club is not a place. It has no parish nor has it clearly defined boundaries. It is often called ‘the Monastery’ and it is this tag that belies its identity. For Mount Sion owes its existence and all it has achieved to that link to the school founded by Edmund Rice in Barrack Street in 1802. Before the foundation of the club, the love of all things Irish and in particular its games was fostered in the school. The importance of the local primary school in all clubs can never be overstated. In Mount Sion’s case, the primary school was its reason for being. Interviewed in 2004, Pádraig Ó Fainín spoke of the role of the primary school in his own school days in the twenties and the development of hurling in the city. “The hurling took precedence over all else. It was always there. 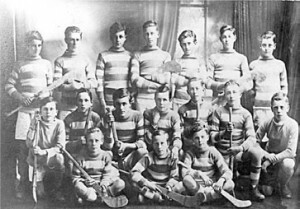 Every teacher had his own team and in the ab- sence of any juvenile leagues in the city, it was in the schools of the Brothers that the Keanes, the Grimes, the Powers, the Flannellys, the O’Briens, the Morrisseys, the Walshs and the Guinan’s love of hurling was born.” From this clubless beginning would emerge men who would go on to become legends in the annals of our national game. And so it was that from humble roots on the tarmac of the primary school that national heroes of the hurling game emerged. The primary school became the breeding ground for greats and in schools throughout the country, thanks to the tireless work of Cumann na mBunscol this is now the norm. From the primary school grew the club and with the success that followed at club level the link between school and club grew ever stronger. The 1970s saw men who had grown up in awe of the men of ’59 emerge as heroes in their own right-men like Pat O’Grady, Pat McGrath, Pat Kelly, Jim Greene and Stephen Greene car- ried on the torch and as the eighties dawned so too did new talents amongst them Jess Kehoe and the Ryan brothers, Ea- mon, Pat and Kevin. It was in the early 1980s that Brother Dowling, a name now synonymous with primary schools hurling in Mount Sion returned to the school he had left as a young teacher in the 1950s. The yard hurling leagues that were once based on the streets you came from now became class based and each year saw children battle it out to make the grand finals in June! It was out of the tragedy that claimed the lives of two great Mount Sion men, Tony Forristal and young Martin O’Grady, along with another teenager from Butlerstown, Jimmy Cos- tello that these yard hurling leagues took on even more sig-nificance. While Tony’s memory is recalled every year with the annual under 14 tournament, Martin’s memory is marked by the yard hurling leagues in the primary school where the sixth class boys battle it out for the Martin O’Grady Memorial Shield, kindly donated by the O’Grady family. 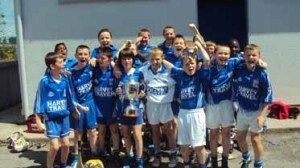 It was in these leagues and in the competitions of Cumann na mBunscol and under the watch- ful eyes of men like Brother Dowling, Brother Griffey and lay teachers such as Larry Gough, Tim O’Byrne and Gerry Flynn that hurlers from our most recent senior inter-county success- es found their footing. Recollections of boys by the names of Ken McGrath, Eoin Kelly, Eoin McGrath and Brian Greene sweating it out in the ground hurling cauldron of the senior yard still occupy the memories of those teachers fortunate enough to witness these leagues. The school enjoyed much success during the time of these talents and some of the Cumann na mBunscol games of this era were where the precocious talents of these young lads were first spoken of. 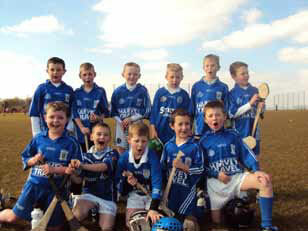 Recently, the school marked the retirement of Ken McGrath from inter county hurling. Ken returned to visit the school where he grew up and spoke of his memories and love of school hurling. He remarked after- wards that he had received many accolades upon his retirement but the words penned and read by some of the primary school hurlers of today on Ken’s retirement were the greatest gifts he had received. It is no coincidence that success in the primary school has coincided with success in the club over our history and so it remains. 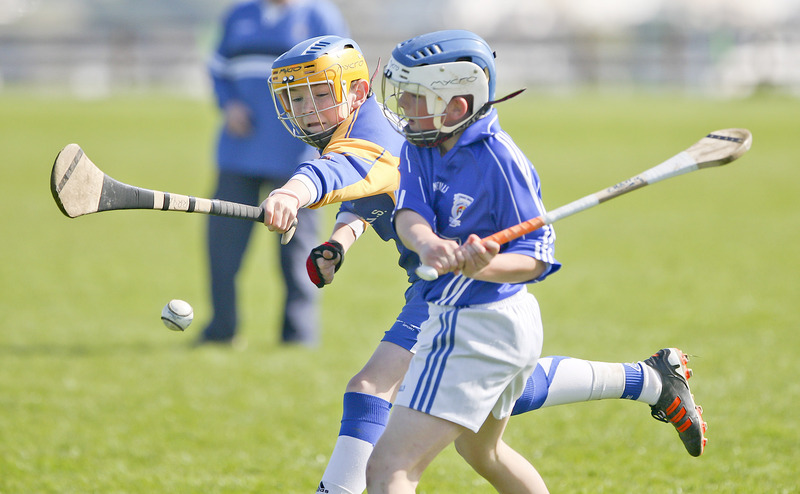 After some years where school and club have experienced a relative ‘barren spell’ in under age hurling, the signs of growth are emerging once again. This is in no small way attributable to the work of Peter Walsh, the club juvenile chairman who, in tandem with the school principal Michael Walsh has overseen a restructuring and strength- ening of the ever present bond between school and club. With help from teachers such as Brian Wall of the Nire and Eoin Fanning allied to the assistance of club men like Paul Flana- gan, Ray Power, Seamus Nolan and Pat Barrett, the school continues to work hard to promote our native games. All of the above would not be possible were it not for the work of Cumann na mBunscol and the support it gives schools in fostering hurling and Gaelic football. We wish to thank the organisation and the people involved and also the Games Development officers such as for recognising the importance of the primary school to the GAA and hope that it continues to go from strength to strength. When eventually, as it surely will, the Liam McCarthy cup returns to the Decies, the teachers and officers of Cumann na mBunscol can be rightly proud, as they will have done their bit.